Please agree to: Only for use with a Satellite Dish installation. 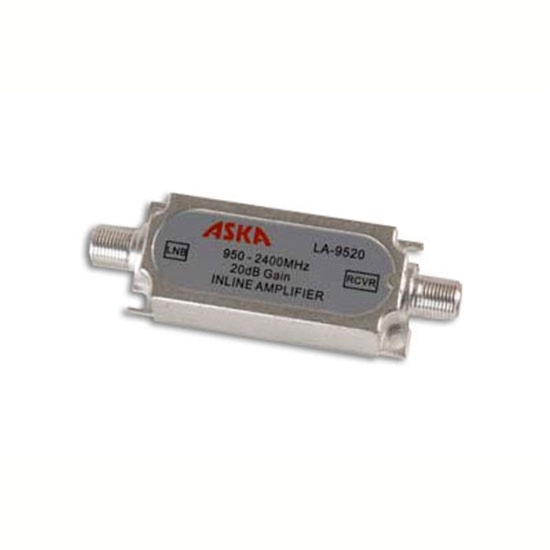 This Amplifier is only for use with a Satellite Dish installation! Eagle Aspen SA-2050+ 950-2400 MHz in-line amplifier designed to amplify the signal between the LNB and the receiver for long drops. Slope compensated, the signal 18 dB at 1450 MHz. Housed in a heavy duty solder-back case. Powered by the receiver and passed through to the LNB. Input and Output Impedance: 75 ?